Your One Way Ticket To The Red List - Government Software "Ranking" Social Media Users As Law Enforcement Uses Programs To Calculate Your "Threat Score"
For social media users, platforms such as Twitter, Facebook and others are online sites to stay in touch with family, friends, share pictures and news, meet and talk to people around the world, but to the U.S. government it is a place to collect and store information about users and to "rank" them and determine which "list" those users belong on.... the Red, the Blue or the Green. Over twenty ago Steve Quayle shared information he was given by a high ranking government agency head who has since passed on, about the U.S. government putting citizens on lists with those slated for the "Red list" being people which were deemed as "enemies of globalism" and marked for termination. Red listers are the people that would not comply to a complete police state, would not give up their weapons, would lead a rebellion.... people like our nation's veterans, gun owners, constitutionalists, preppers, survivalists, all people that the Obama administration has publicly targeted as "extremists", calling them "dangerous," and associating them with potential "domestic" terrorism. We're also reminded by Quayle that his source had also told him others were on that Red list in the form of the "Curative Process," where the "weak, elderly and infirmed," would be systematically destroyed, along with doctors and nurses as vaccines were made mandatory (which we see 20 years after he revealed this, states are implementing mandatory vaccines) and that much of the EPA's "toxic waste incinerator" funds were being diverted to create huge crematoriums to dispose of over 100 million bodies, with Steve stating "Guess we know who is considered toxic waste!" To this day there are many that consider the "red list" a conspiracy theory, but what they will see below proves without a doubt that the red list exists and how social media users themselves are now creating their own files, building their own dossiers for the government with every tweet, like, share, email, discussion and "private" chat they participate in, and it is those dossiers that will ultimately determine which list they are on.... or in their terminology, how they are "ranked." Following a link a reader left this morning back to its original source, opened up a Pandora's Box of information regarding the extent of surveillance the U.S. government is conducting on its citizens and what that information is being used for. 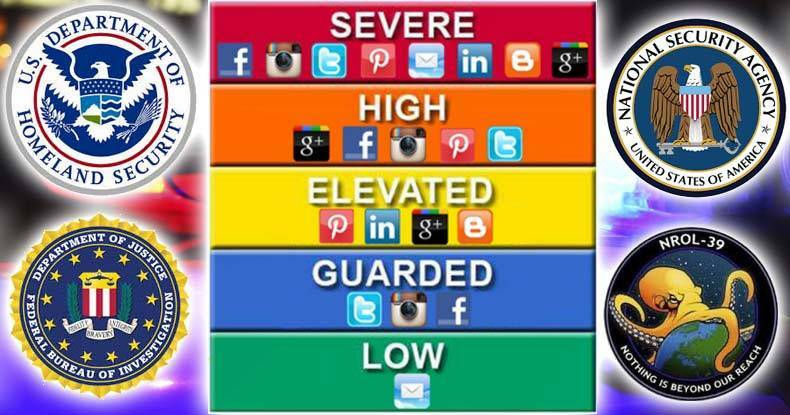 Law enforcement is creating fake social media accounts in order to build relationships to monitor friends, events, and to gather information "about suspects they consider a high risk of being involved in a future crime," as part of their "Predictive Crime Prevention" program. Facebook most likely wants to keep this software secret since most people do not think fondly of someone rummaging around their private messages and photos looking for criminal activities. Also how far is this system willing to go and will they soon pursue minor crimes or even thought crime? Great question, but I would add others such as, what are the qualifications of the Facebook employee the software notifies to determine whether a random comment is suspicious? How many of the users supposedly "private" conversations are then gone through? Where are the morals and ethics in any company offering "private" messaging and then invading those messages that are supposed to private? There is no privacy online, even Google makes it a practice to scan your emails or as they phrase it in their TOS, "automated systems analyse your content," but the invasion of privacy is not the worst of what is being done to users. 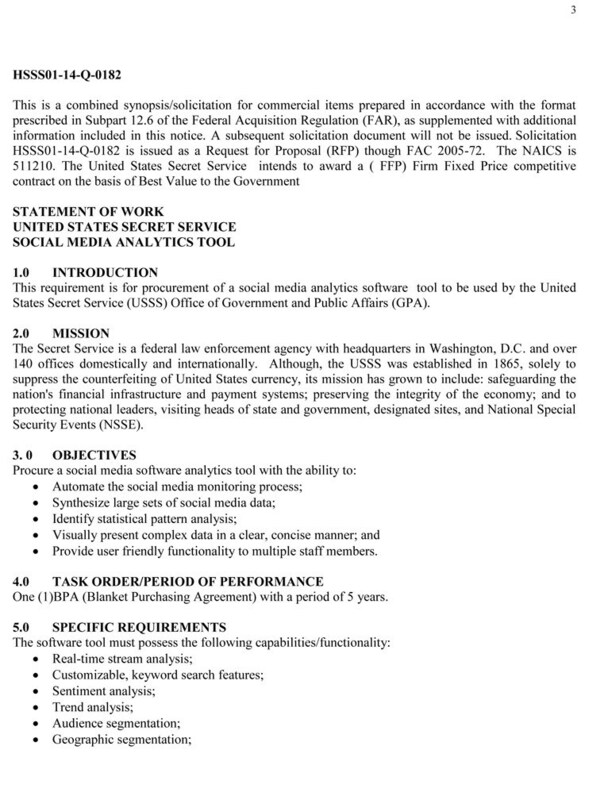 On April 14, 2016 American Intelligence reported that the U.S. government is now soliciting bids for a "citizen ranking program," that will "monitor information on social networks in real time and even contact users." The Orwellian system will report on “sentiment analysis,” “influence identification,” will have “access to historical Twitter data,” - “ability to detect sarcasm,” and “heat maps,” portraying user trends by color intensity according to government documents." Heat maps portraying user trends by color intensity..... kind of makes you wonder if those "heat maps" are using the colors Red, Blue and Green, doesn't it? For anyone that doubts the "red list" exists and that social media users are buying a one ticket to the red list, the following quote from a January Washington Post article should be an eye-opener. The headline reads "The new way police are surveilling you: Calculating your threat ‘score’:"
The program scoured billions of data points, including arrest reports, property records, commercial databases, deep Web searches and the man’s social- media postings. 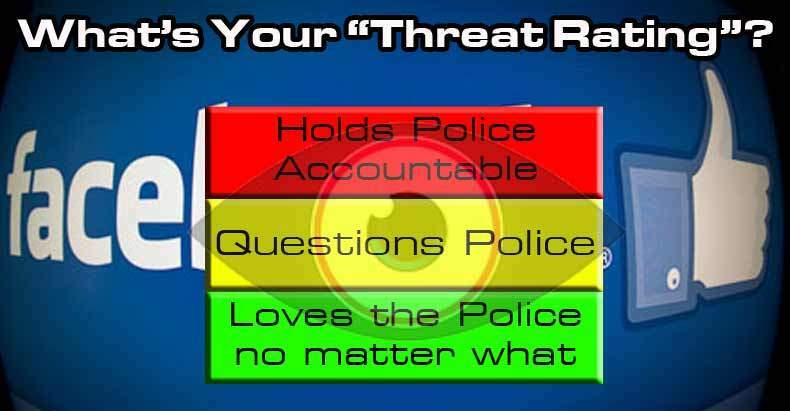 It calculated his threat level as the highest of three color-coded scores: a bright red warning. Does anyone doubt for one second that if states' law enforcement is using these programs that will calculate your "threat risk" based on data obtained from your Internet usage, including postings on social media sites such as Facebook, Reddit, Twitter, Snapchat, LinkedIn, and Instagram, that the U.S. government is collecting that same data, utilizing the same programs, and using those scores to determine just what "list" you belong on?